Use FSA funds to purchase FSA sunscreen at a fraction of the usual cost. Colorescience offers a variety of sunscreen options in both lotion and powder form, available for purchase using your Flexible Spending Account. FSA is a pre-taxed account that you can use for either medical expenses or dependent care expenses. Fortunately, sunscreen falls under the umbrella of medical expenses. Because your FSA is funded with pre-taxed dollars, you can expect to save up to 40 percent on qualified purchases – and that includes Colorescience FSA eligible sunscreen. Can I buy sunscreen with FSA money? Sunscreen is a must-have item for your medicine cabinet, and integral to overall health. Sunscreen has a huge impact on your chance of sunburn, aging, and skin cancer and you can now buy sunscreen with your Flexible Spending Account. Buy sunscreen for the whole family and have fun in the sun without worrying about sunburns and permanent skin damage. 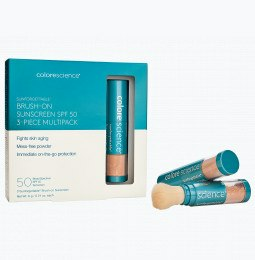 Does Colorescience offer physical FSA eligible sunscreen? Yes. Physical sunscreens do not contain harmful ingredients like their chemical sunscreen counterparts. Also known as physical blockers, these sunscreen options contain natural active minerals that work to deflect the sun’s damaging UV rays. Your skin is not subject to chemical absorption, protecting you from the damaging effects of harsh ingredients. If you have sensitive skin, chemical sunscreen is apt to cause irritation, including skin discoloration, burning, blistering, itching, and hormone disruption. Physical sunscreens are crafted with natural, safe ingredients designed to keep pores clean and skin protected. What forms of FSA sunscreen does Colorescience offer? 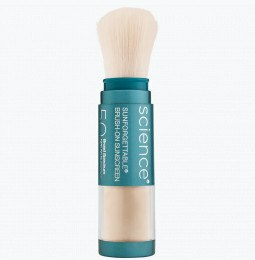 Whether you’re looking for brush-on sunscreen in powder form or lotion sunscreen, Colorescience has you covered. Our lightweight mineral formulas offer a breathable feel and fantastic protection. 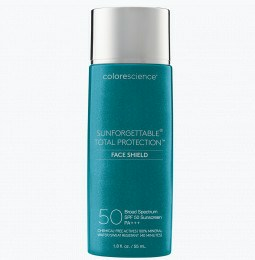 Browse sunscreens in a variety of colors, textures, and finishes.